Beyond makeup that suits your skin and style, one of the most important tools you can have is a great mirror. The Jerdon Trifold Euro Design Mirror comes in a tabletop style with a center mirror with 1x magnification on one side and 5x magnification on the other. In addition, there are four light settings that can be used to optimize your lighting no matter where you are. 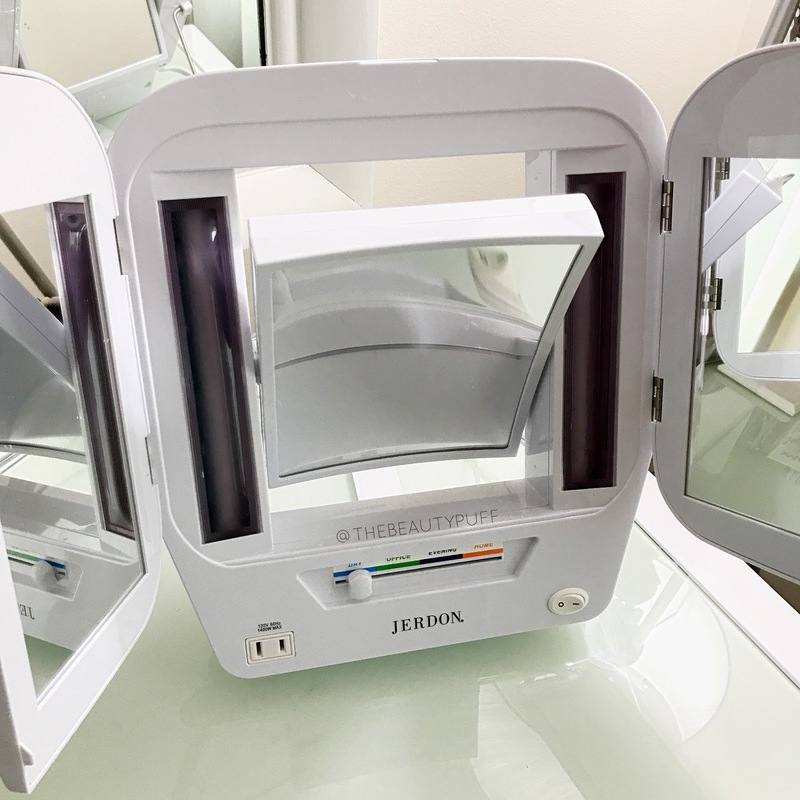 Design | Upon opening the Jerdon Trifold Mirror, you'll notice there is an adjustable stand in the back. This allows for a customized angle to accommodate any height it is placed on. The mirror itself plugs in so there are no batteries to use. The two side mirrors fold out, allowing a wider viewing angle so you can see either side of your face for a panoramic view. To change the magnification, the center mirror flips vertically to allow use of both sides. Below the center mirror is a sliding switch that changes the temperature of the light. Choose from day, office, evening, or home. This mirror also features a plug that can be used for a curling iron or phone charger! 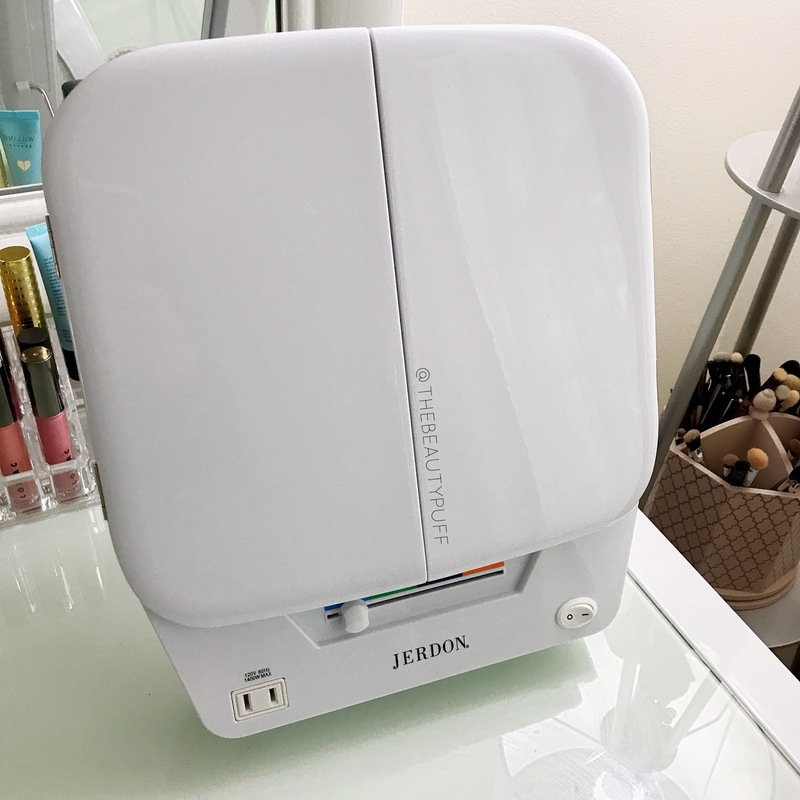 Versatility | While I've always used a mirror to get ready, I really love the added features and versatility of the Jerdon Trifold Mirror. The side mirrors provide a whole new angle I never get a good look at ordinarily! You can easily see how foundation is blended on your jaw line which is usually a pretty awkward angle. I enjoy using this mirror both with and without the included lights but the day setting is my favorite. It gives the most natural light since I am right next to a window and use daylight bulbs at my vanity. When you're done using the mirror, it easily folds for more compact storage. I love the sleek look and curved edges of the Euro Design. It goes beautifully in my beauty space without sticking out too much. Overall, I'm really pleased with this mirror and use it every single day! Now I never want to be without it! 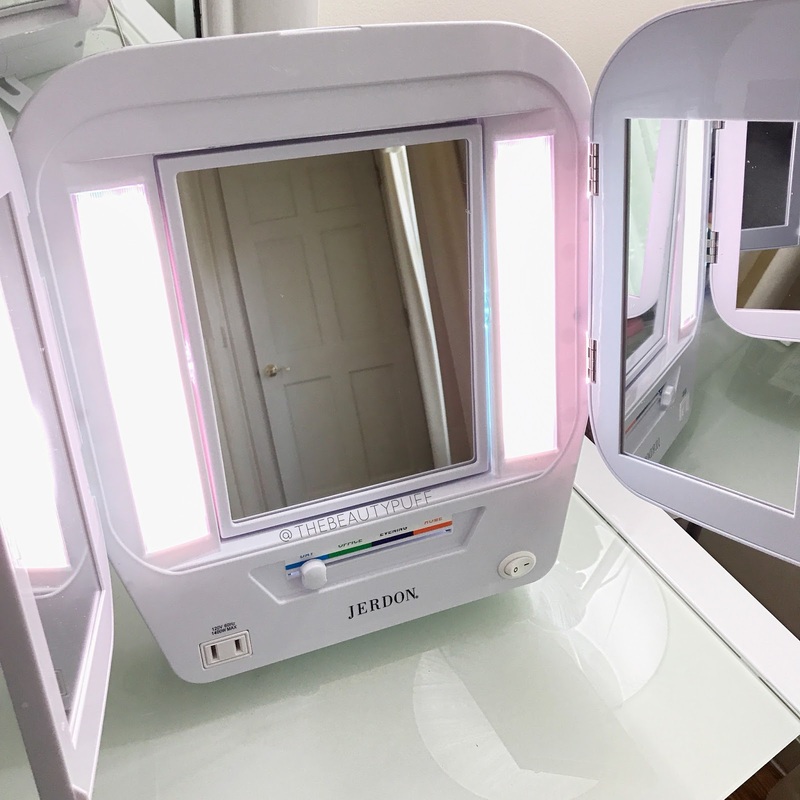 You can find the Jerdon Trifold Euro Design Mirror on Amazon and the Jerdon website below.